Blue Chip Stock is a stock of a Well – Established and financially sound company which has a national reputation and the ability to operate profitably in good and bad times. A blue chip stock is generally a market leader or one of the top three companies in the sector with its market capitalization running into thousands of crores. The name blue chip is derived from poker, where blue chips are the most expensive ones. These stocks are typically known for paying dividends to their shareholders consistently. They have a consistent record of growth and give stable, inflation beating returns to the shareholders for their investments. A blue chip stock is generally a component of the benchmark indexes like SENSEX and NIFTY. Some of the blue chip stocks Infosys, TCS, Reliance, ONGC, ITC, HDFC, SBI and Coal India. The criteria for what qualifies as a blue chip stock is relative and subjective. A market leader could be a large – cap company or a mid – cap company. There is no particular criteria which qualifies a company to be a blue chip one. Generally, there is a perception that investment in blue chip stocks is a safe investment as the company has survived major challenges and market cycles but this is certainly not the case. There have been blue – chip companies which have gone bankrupt and investors having lost lakhs of rupees. The best example we can think of is Satyam Computers in which all the investor wealth was eroded in a whisker. Therefore, a lot of time and effort needs to be spend by investors in figuring if a stock is actually a blue chip or not. We at SAMCO have rated all of the stocks listed on NSE. The Stocks are rated AAA, AA, A, BBB, BB, B, CCC and Penny Stock depending on various criteria and conducting extensive research. We have analyzed the reported financial position of companies and scanned them objectively through the guiding torch of history’s greatest legendary investors by rating the stocks on 25 all encompassing vital parameters, which effectively measure the underlying efficiency of business, growth potential, sustainability of earnings, constructive or destructive power of Leverage, ability to generate free cash flow, transparency among-st several others. SAMCO Stock Ratings rates the blue chip stocks as AAA and AA. Blue chip stocks should form a larger chunk of your portfolio but not all your money should be put in blue chip stocks. The portfolio has to be well diversified with fast growing mid – cap and small – cap companies also being part of it. The diversification can be done based on the risk tolerance of an individual investor. While Blue chips are considered relatively safe in nature due to their underlying business fundamentals, they are relatively more expensive in nature as well. It’s important to make sure that an investor doesn’t blindly buy into these blue chips without understanding the valuations of the business and ensure that there is adequate margin of safety while buying these businesses. The returns of an investor are inversely related to their valuations – Higher the valuations paid for these blue chips, lower will be the returns and vice versa. 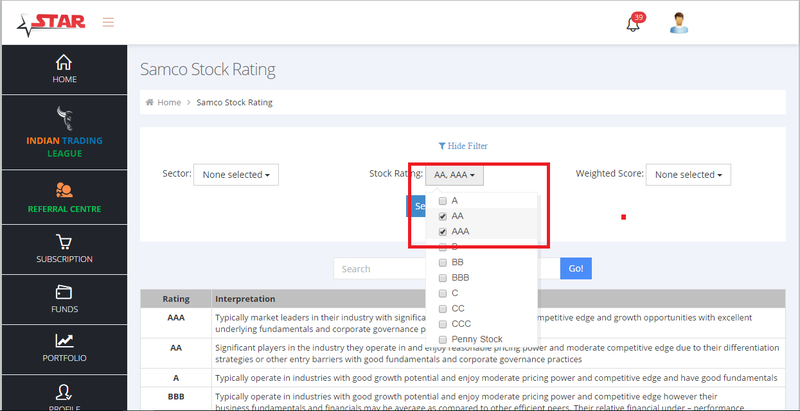 On SAMCO Stock Rating page, click on Show filter and in Stock Rating select AA and AAA to access blue chip stocks. 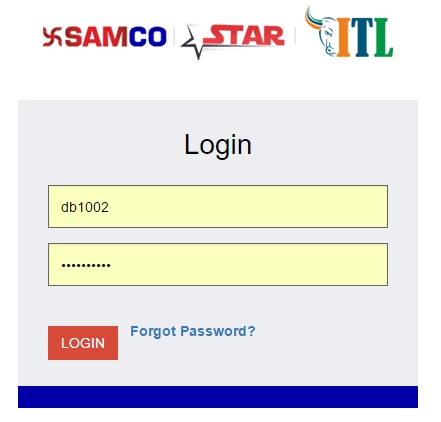 You can know more about SAMCO Stock Ratings on our blog as well.